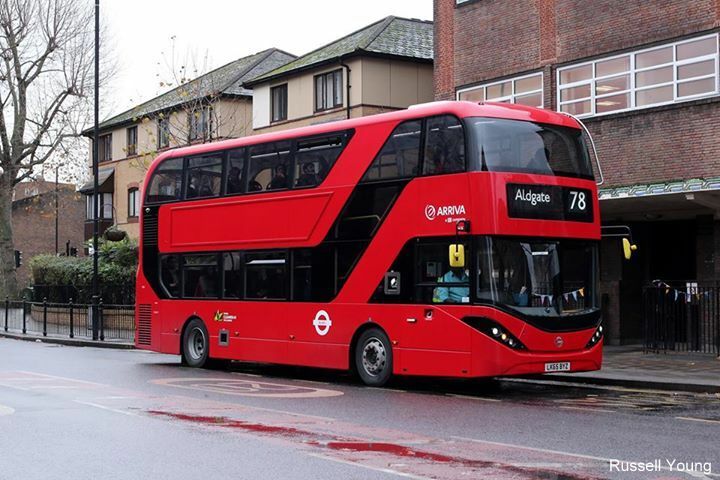 10 new-generation Enviro400 City buses. As well as a stylish new interior and exterior look, including a glazed stairwell – the new 10.5m double decks will have E-leather seats, wood-affect floors, Wi-Fi and USB charging points, ‘next stop’ visuals and audio announcements. They will be powered by the latest Euro6, low-emission technology and come complete with fuel saving “smart accessories” and stop-start capability. Built by Alexander Dennis Limited (ADL) the new buses will be delivered in the summer of this year and will be the first one-door variants of the recently introduced City bus which was first shown in London guise at Coach & Bus Live at the NEC last year. They will have 27 seats and a wheelchair location on the lower deck, and 45 seats in the upper level. They will operate on the high profile Palladium service (Route 9), between Blackpool town centre and Cleveleys, and replace five Volvo Olympian double decks and five Optare Solo midi buses. Jane Cole is Managing Director of Council owned Blackpool Transport, which has a fleet of 137 buses and accommodates 18m passenger journeys per year. She commented: “The introduction of these leading-edge vehicles forms part of our on-going investment in modern buses. Our aim is to enhance the customer experience, provide value-for-money and encourage people out of their cars and onto public transport. Richard Matthews, Sales Director ADL Retail Bus and Coach, commented: “We are delighted to be working with Blackpool Transport on this break-through contract. They will be the first transport operator in the country to introduce the one-door 72-seat variant of the Enviro400 City, which we launched just a few months ago. As we said at the time, it brings together style and innovation." “In addition to the latest low-emission technology, it introduces a whole range of new features. The glazed stairwell is obviously a big attraction, as is the wrap-around driver’s windscreen with the wipers recessed at the top. Richard confirmed that ADL is now in discussions with a number of other bus operators, both in London and wider afield, with a view to securing further City bus orders. ADL finished 2015 as the UK’s biggest bus supplier securing 43% of all new vehicle registration during the year. 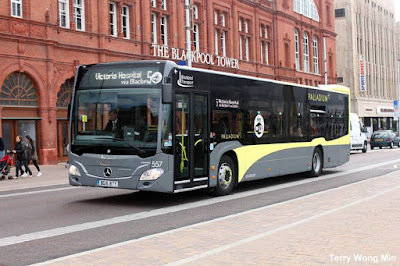 Blackpool Transport's new livery is already portrayed on the latest additions to the fleet, in the shape of six Mercedes-Benz Citaro single-decks. 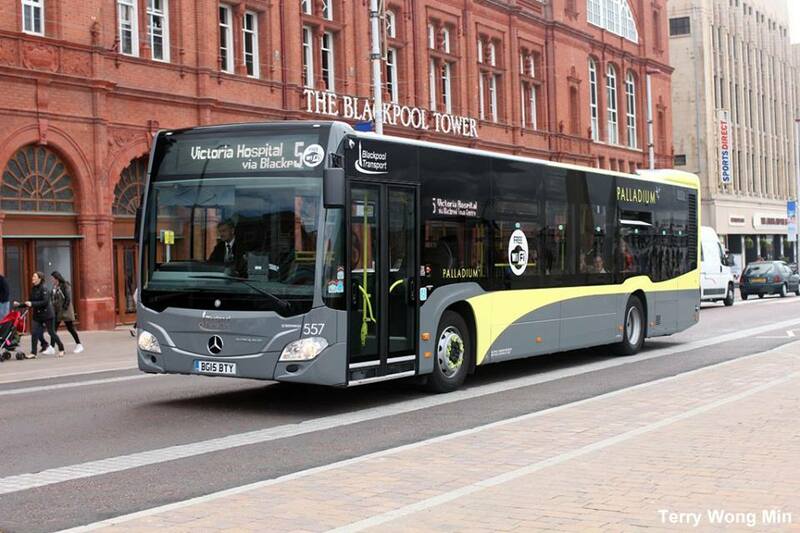 Fleet number 557 shows off the nearside aspect as it passed by the base of the Blackpool Tower. 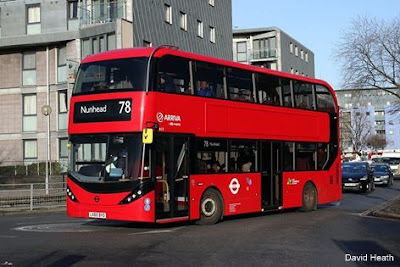 And the nineteen dual-door London versions of the ADL Enviro400H (MMC) City have also already entered service on route 78 between Shoreditch & Nunhead. The nearside dual-door aspect is illustrated here on fleet number HA13.